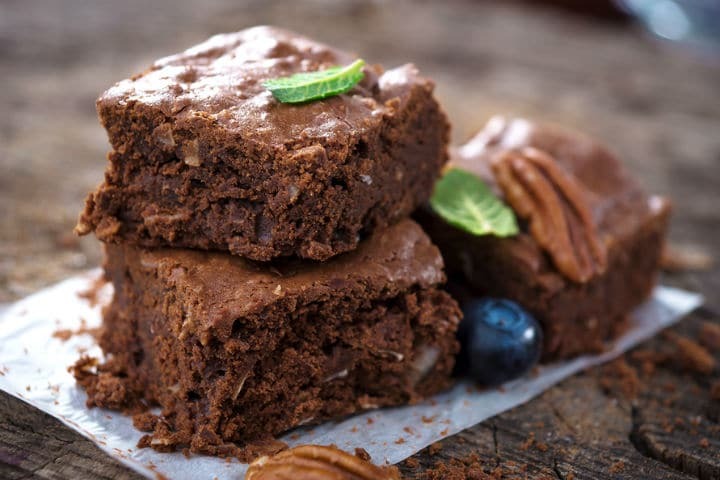 Angela: These healthy chocolate pecan brownies are the perfect snack to take to bbq’s or parties where all your friends can admire your raw healthy culinary skills! Or you can simply cut them up into small slices and keep in the freezer and eat when needing a fix. Base: Drain dates. Process all ingredients in a food processor until moist, sticky and crumbly. Chocolate Topping: Place all ingredients in a food processor or blender. Blend until silky smooth. Pour over brownie. This recipe is brought to you by Lynda. 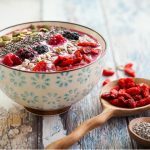 She is a fully qualified Naturopath and Nutritionist with over 13 years of experience in the health industry. Lynda specialises in detoxification and weight loss. She has extensive experience in running healthy, effective and sustainable weight loss programs and has expertise in investigating and treating the underlying causes of weight gain and metabolic problems.